Home » BLOG » How to Install Carpet Yourself? How to Install Carpet Yourself? A carpet may be the most needed and useful flooring type. While they add the warmth that is needed to the home, the carpets also make sure that your home stays cosy and warm irrespective of the weather and the conditions. This is the prime reason that a wide range of carpets are also available in the market. 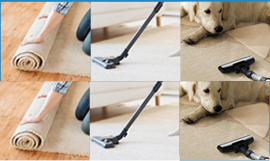 The biggest issue with the carpet used to be the problems and issues that would come up after prolonged use which would make it impossible to clean the carpets and keep them fresh. With the recent changes that have been brought about, cleaning the carpets is not actually a major problem now. Apart from the various do it yourself kits, the professional Carpet cleaners do not charge a fortune for it. Measure the size of the carpet that has to be installed and ensure that the designs if any, form a symmetric process on the floor. A carpet that would have half designs and improper patterns does not look good. Align the carpet effectively along the edges and seams without bending the carpet too strongly and once aligned leave a marking of at least an inch on all sides before a carpet is actually cut along the length and breadth of the area. Clean the floor on which the carpet needs to be installed and the then along the seams of the edges and walls, start aligning the carpet keeping it rolled to avoid air bubbles. The flooring foam also needs to be Spread exactly on the margins and area of the carpet to be covered. Once the carpet ins installed, immediate use is not recommended and it should be allowed the time to dry and release all the air bubbles that may be trapped otherwise. It is also necessary to note that one of the prime reasons due to which the house owners do not call the professionals for the installation and try to do it themselves is the pricing that may be incurred over it. But what if just around in your area, you find a carpet installer who almost does not charge anything except the supplies that would be used? This is exactly why we recommend Pittsburgh Carpets as the best option for installation of the carpets, so that while you are happy with the service, you are equally happy with the price you pay for it.